For friendly helpful advice on all our activities. Abseiling is walking backwards over the edge of a steep drop with only a couple of ropes and your composure to keep you safe! If this idea doesn't put you off then read on. 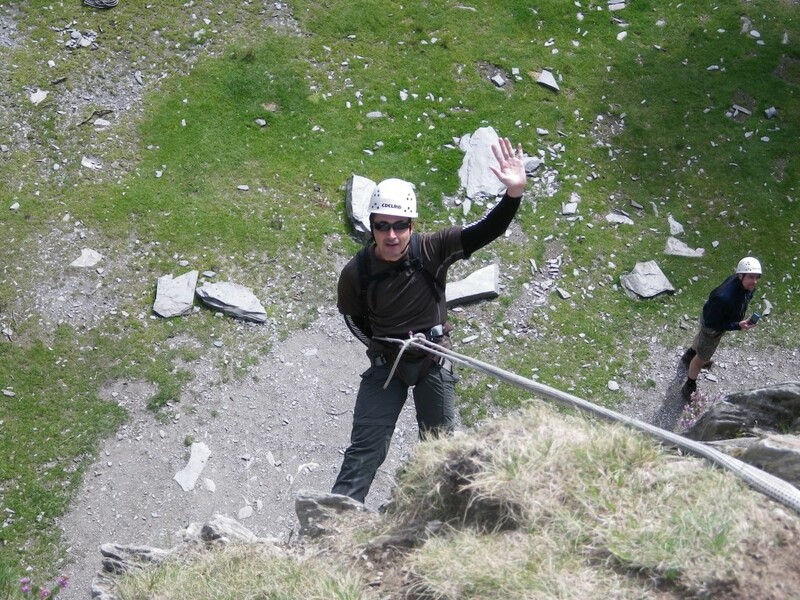 Joint Adventures instructors will see that you will get to the bottom of the abseil safe and sound. We provide all the kit you need and experienced instructors who will help make your abseil experience exhilarating and fun. 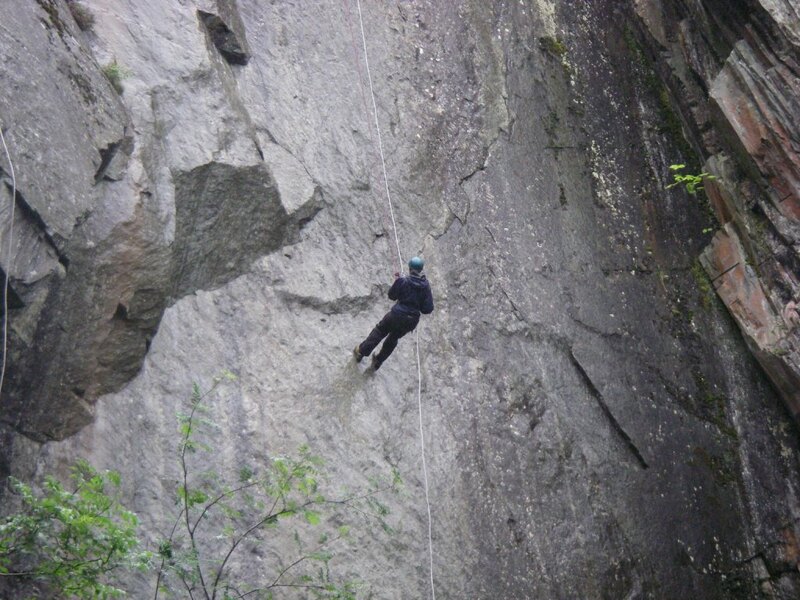 We have a variety of abseil venues through out The Lake District. Abseils heights can range from about 15m (50 ft ) to an impressive 40m (130ft). 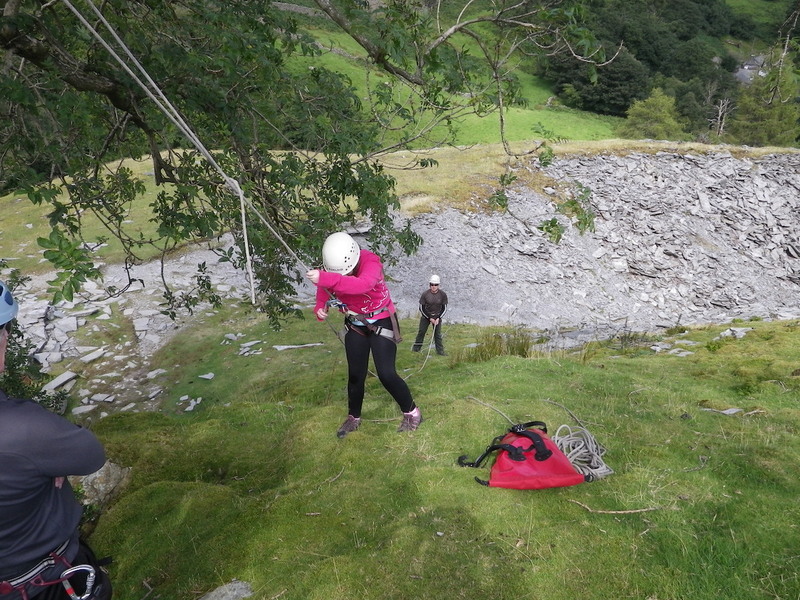 So whether you're keen and confident and raring to go, or you would prefer a more gentle introduction, Joint Adventures has the abseil for you. Abseiling is a good choice for half day activity and can be combined with any other activity to make full day of adventure. 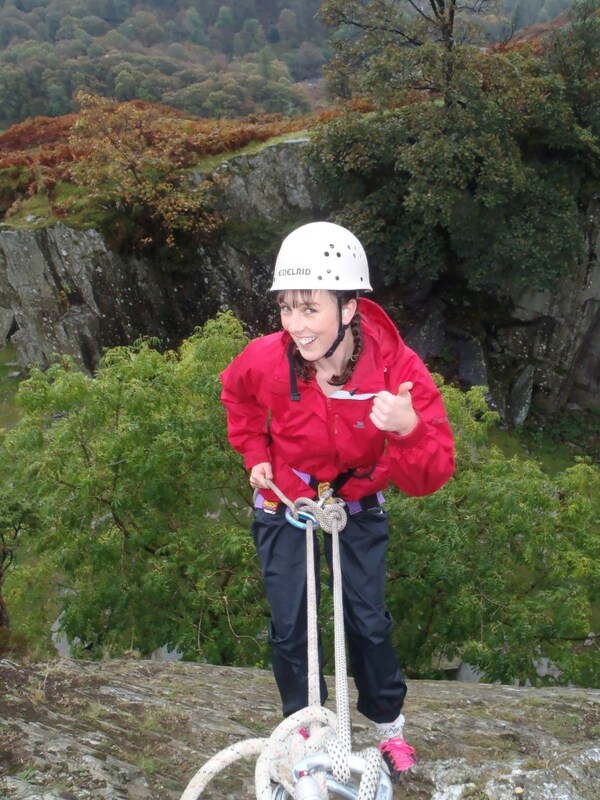 Let us help you organise your sponsored abseil event. This could be your bid to raise money for the charity of you choice. Joint Adventures will be more than happy to support you or your organisation. 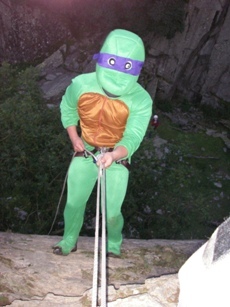 You don't have to dress up in a fancy costume, unless you want to, and you could do anything from one of our simple abseils to something really long. (40m or 130 feet). We can take photos and even video of the event so your achievements will be there for all to see. Joint Adventures was set up by Adam McCluskey in 2004. With 20 years teaching experience under his belt, and almost the same number of years doing outdoor stuff, Adam decided it was time to indulge himself and develop what started out as a hobby and after school activity sessions, into something more. Joint Adventures was born so that he could take people out and share the outdoor adventure (to make it a joint adventure). Copyright © 2019. Website by Freshspace.